Sensors & Mission Systems | IOMAX USA, Inc. The Archangel can be configured during production to ensure a client’s requirements are fully addressed. Variations include EO/IR targeting with the WESCAM MX-15 (with or without LD); armament control and stores management; UHF/VHF/FM and SATCOM communications; full motion video; aerodynamic Pod and pylons. 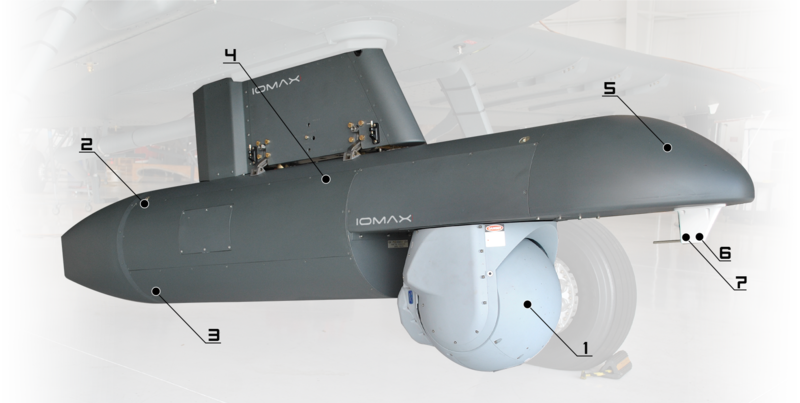 Because today’s mission requirements demand identification and designation from longer standoff ranges and higher altitudes, IOMAX has integrated EO/IR sensors onto the Archangel. 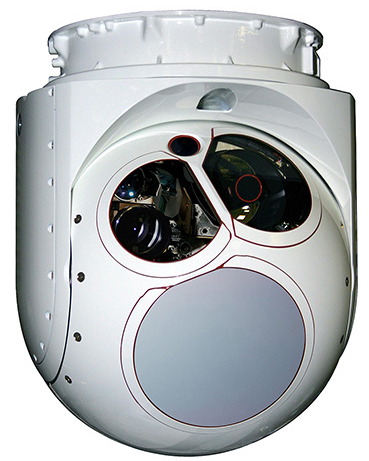 The sensor optics and system stabilization provide high quality imagery to both the pilot and WSO. The Archangel’s employment of the WESCAM High Definition MX-15 offers our customers a multi-sensor, multi-spectral system that has worldwide logistics and maintenance support. With long endurance, heavy weapon load-out and precision strike ability, Archangel’s targeting capability further enables mission commanders ability to control and influence the battlefield 24/7. Field proven, with extensive deployment, the MX-15 EO/IR system provides high-sensitivity multi-spectral sensors for day, low-light and night missions. The diode-pumped laser target designator has proven to provide high reliability operation in severe thermal environments. The MX-15 system provides precise GEO-Pointing for hands-free operation regardless of aircraft movement or obstructions. Integrated with the Archangel armament control system, the MX-15 provides robust and precise fire control capability. An IOMAX custom-designed solution for the Archangel aircraft this aerodynamic centerline pod was developed as an integrated Recce/Strike/Data Link aircraft store that can also be configured to include missile and radar warning and countermeasures. Attached to a pylon on the fuselage centerline, the pod allows the EO/IR/LRF/LD turret to rotate forward and down to provide maximum field of view without regard to the propeller or aircraft structure line-of-sight interference. The turret has self-contained GPS-aided inertial navigation so that it can provide pointing for target tracking and geo-location functions. Mission Computer processing permits armament control data to be overlaid on the sensor imagery data on both a rear seat primary display and a front seat repeater display. The sensor can be automatically stowed for taxi, take off, and landing. Archangel’s extensive mission capabilities are the result of its integrated, state-of-the-art avionics, and communications systems, making it the multi-role, Intelligence, Surveillance and Reconnaissance (ISR) and patrol aircraft of choice. The front and rear cockpit crew stations are outfitted with digital instrumentation for flight management, voice and data communication, flight control, payload management and engine management. The platform is configured with digital avionics, communications, and special mission equipment to include an electro-optical/infrared (EO/IR) sensor and data links to support border patrol and other surveillance missions. Learn more .